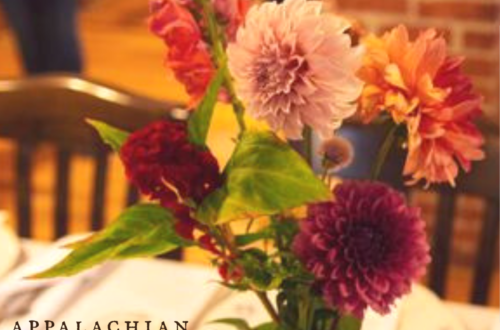 Enjoy Appalachian Sustainable Development's first Farm-to-Table Dinner of the 2019 season with 100% of proceeds benefiting ASD! Support local farmers when you attend this 4 course, Farm-to-Table dinner prepared by Chef Charles Parker. Our menu includes: brown butter, butternut squash soup, spicy arugula salad, pickled pears & sausage, drizzled with Abingdon Olive Oils & Vinegars, prime rib with blue cheese & wine demi glace, roasted potatoes melange with local honey dressing and apple/cheddar tarts. 80% of all ingredients thoughtfully sourced from within 100 miles of your table. Each course will be paired with new release Abingdon Vineyards' wines. 100% of all proceeds benefit ASD. This event is made possible in part by Jamie Barger, State Farm, Abingdon. Ticket processing fees may apply.